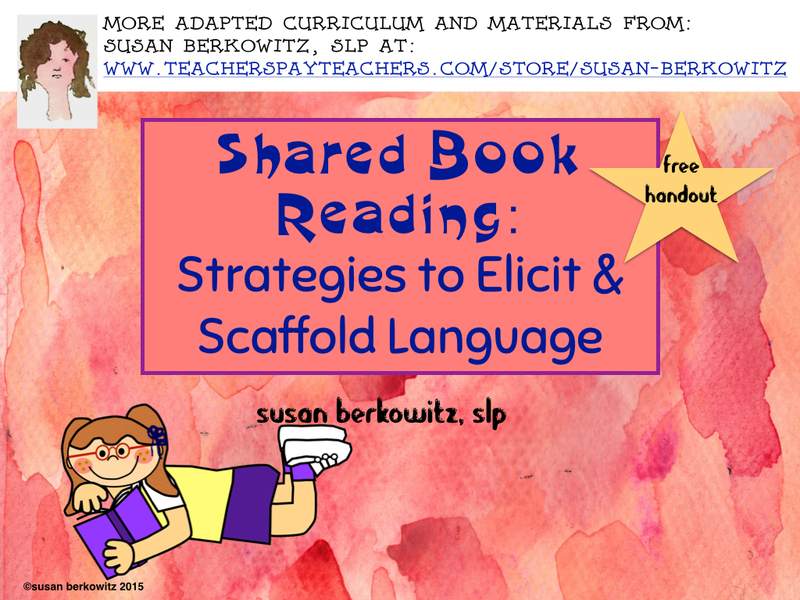 Are You Using Shared Reading Strategies for Building Language? 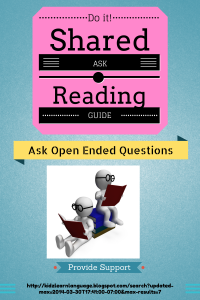 What do we know about kids learning reading? First of all, we know that they need to be read to. Parents and teachers need to read to kids all the time. Lots of different books, and a variety of kinds of books. Talking about stories as we read them builds language and thinking skills, and can facilitate reading comprehension. Shared and guided reading are great ways to build language skills and build engagement. Shared reading, with an adult or older student, has been shown to be one of the best influences on later vocabulary and reading skills. Reading this way is interactive. 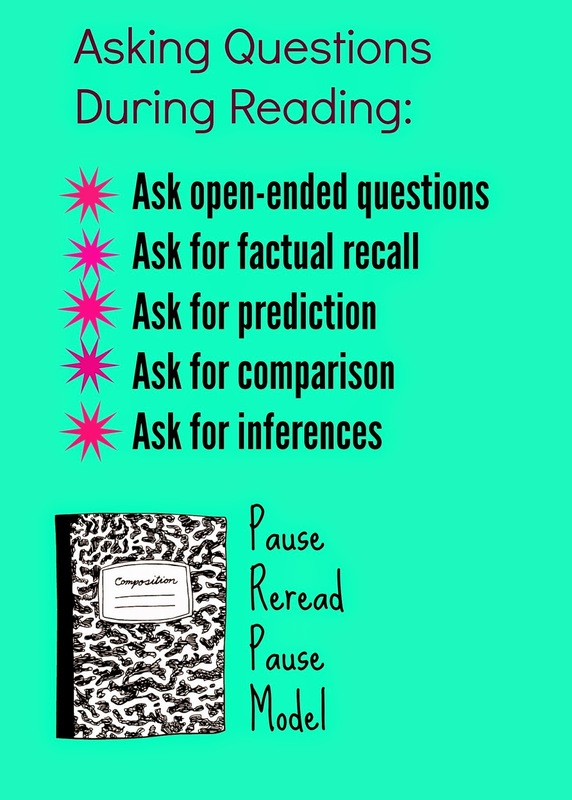 Having interactive conversations with kids around the book being read generates vocabulary knowledge, inferencing and predicting skills, and develops higher order thinking when the right types of questions are asked. We have a tendency to read less to students/children with disabilities, and to forget to use the same basic structure we use when teaching their non-disabled peers. When we do read to them, we don’t ask as many questions, provide as much interaction, or prepare them for the experience. We don’t set the purpose for reading, activate their background knowledge, or provide activities related to that purpose. And we don’t often give them the opportunity AND the means to get practice in retelling the stories. 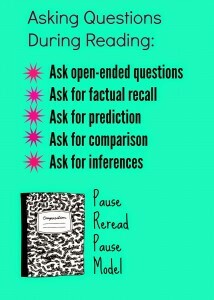 A good quality reading session allows opportunities for students to participate. 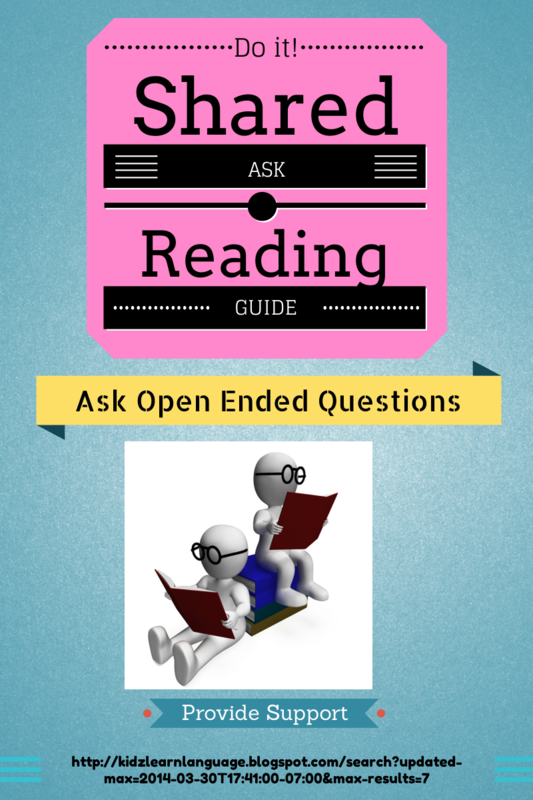 Ask open-ended questions. Pause for students to fill in predictable words. Elaborate on students’ responses. Point out new or interesting vocabulary. Move from asking questions whose answers are easily visible on the page – particularly in illustrations – to questions that compare, contrast, infer, predict. One purpose for shared reading is to expose students to stories they may not be able to read themselves; providing experience with richer vocabulary and syntax. 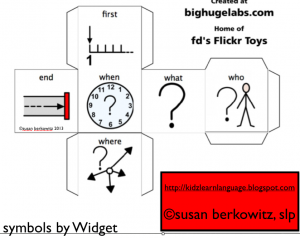 Another purpose is to provide those structured interactive experiences with specific questions and prompts that enable the students to build language – and reading – skills. 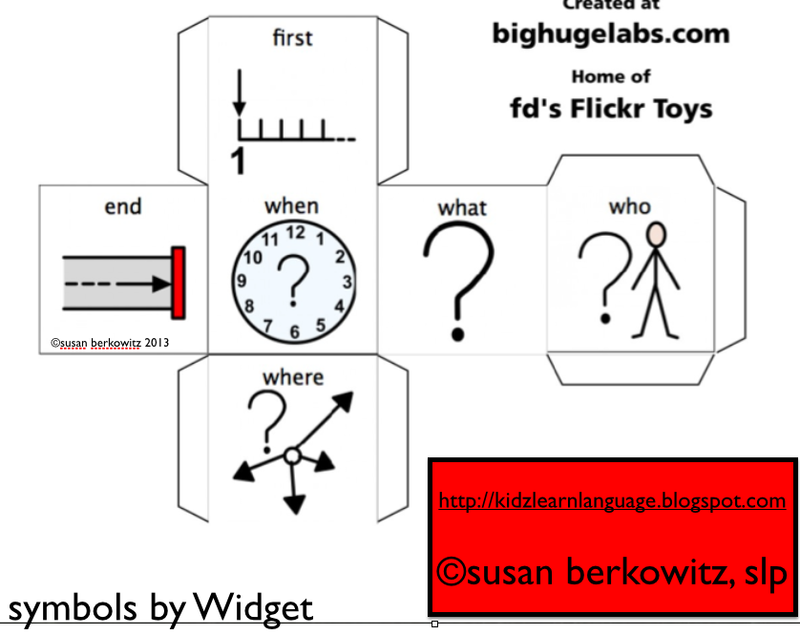 I try to provide props – even if they are just pictures – in my sequencing and retelling activities. Copy images from the book (this is allowed if you have purchased the book and are using the copies to provide access to a child who has difficulty accessing print). Laminate the images (the characters, pictures of setting, events) and staple them to popsicle sticks or tongue depressors. These can then be used for children to respond during the story reading to a specific question, to let you know they’ve recognized a word or phrase, or to retell the story. Who was in it, where were they, what did they do? When possible, provide more 3-dimensional props. Dig through the toy box, hit the 99 cent store, or check out the on-line novelty stores for small figures. Acting out stories to retell them is valuable practice for building children’s language. Carol Westby has done considerable research into how children’s story telling and retelling builds social language and conversational skills, as well as important literacy skills. Typical children use multiple opportunities to retell stories to their stuffed animals and dolls, to re-enact them with their dolls or action figures, and to “read” the stories to themselves long before they can actually read them. One of the many skills children gain through retelling is the sense of story elements and structure. Practice with children recognizing the Who, What happened, When, and Where elements of the story. Generally, my sequence for shared reading activities includes describing ( a character or setting), comparing ( 2 characters or settings or other subject in the book), sequencing (the action in the book), retelling ( with and without supporting structures and visual cues), and some phonological awareness or other reading strategy skill. This gives me 5 days’ worth of language activities for the same story and the same vocabulary. 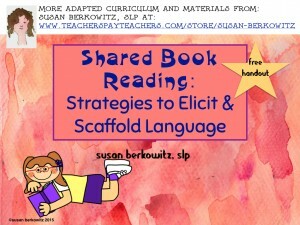 Here is a free handout about shared reading for you to keep – and share. Keep on reading to your kids! Beautifully written Susan! I couldn’t agree more. It’s so true what you siad about the importance of giving children with disabilities to answer questions and practice retelling the story..